The prevention of multidrug-resistant (MDR) and extensively drug-resistant (XDR) tuberculosis can be tenuous when treatment programs aren't followed properly. In a prospective cohort study of 1,278 patients from eight countries published in the journal Lancet, researchers found that 43.7% of patients with multidrug-resistant tuberculosis also showed resistance to at least one second-line drug. Second-line antibiotics are used in treatment when the first line of antibiotics fails. However, these drugs are more expensive, can cause more side effects and must be taken for up to two years. Further, extensively drug-resistant tuberculosis was found in 6.7% of the patients, a figure on par with the World Health Organization's estimate that 9.4% of the global population has XDR. "[The study] shows really clearly that messy treatment of multidrug-resistant tuberculosis generates extensively drug-resistant tuberculosis," said Dr. Karin Weyer, a coordinator for laboratories, diagnostics, and drug resistance at the WHO's Stop TB unit. "This sends a strong message to try and prevent the amplification of drug resistance by treating patients properly the first time around," said Weyer, who was not involved in the study. Tuberculosis can become drug resistant by one of two ways, according to Weyer: when treatment medications are mismanaged or when MDR tuberculosis is spread from person to person. Patients not completing their prescribed treatment regimens is one common way multidrug-resistant tuberculosis can develop. Yet even patients who have never been sick with tuberculosis can be diagnosed with the multidrug-resistant type if someone close to them has it. Because the bacteria are spread through the air, typically by an infected person coughing or sneezing, people living closely with infected patients are at high risk, Weyer said. "You can find someone who has never had tuberculosis fall ill with this particular (MDR) strain," said Weyer. "That's a particular concern in congregant settings." 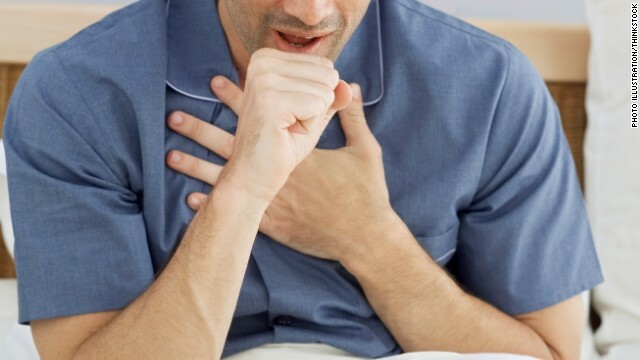 Many times tuberculosis patients live in cramped areas like shelters or prisons where there are other factors at play affecting a person's ability to take their medication. "It illustrates the tragedy of TB - it's a disease of poverty, it's a disease of discrimination, and there are many social factors like alcohol abuse or drug abuse that would contribute to someone's risk of becoming sick with TB once they're exposed," said Weyer. "These people don't have quick access to quick diagnostic tools so the whole cycle perpetuates by developing MDR and transmitting to others in these settings." The Lancet study looked at people with multidrug-resistant tuberculosis in Estonia, Latvia, Peru, Philippines, Russia, South Africa, South Korea, and Thailand. In the study, the authors wrote that their findings showed "previous treatment with second-line drugs was consistently the strongest risk factor for resistance to these drugs, which increased the risk of XDR tuberculosis by more than four times." Yet Weyer cautioned that only data from Estonia and Latvia were representative of what was happening at the country level. Data from the other six countries was culled from smaller geographical areas - for example, two districts in Lima, Peru, and not the entire country. I have a family and I have Tuberculosis please, please, Help us we are about to be Homeless with 2 children and I can't stop it I sent another message before this one but I don't know if it went through ;THANK YOU AND HAVE A BLESSED DAY! I was just reading another article about TB, which seems to be in the news more and more these days. There may be some evidence for the use of vitamin D in helping to treat TB. While vitamin d does not possess any antimicrobial properties against the mycobacteria, vitamin d has shown evidence for boosting the immune system. According to the Natural Standard, vitamin D can be used as an adjunct therapy for treating autoimmune diseases and asthma. With this in mind, I would not be surprised if vitamin D had positive effects on the treatment of TB. Especially given the growing prevalence of drug resistant TB, we must start to look toward other therapies. Vitamin D is easily accessible (from sunlight and diet) and has few side effects. And while significant evidence for its effectiveness is lacking, I don't see any harm in trying it. lapses may increase TB drug resistance – The Chart – CNN. I'd like to keep up with everything fresh you have to post. Would you post a list of every one of all your public sites like your Facebook page, twitter feed, or linkedin profile?